School district officials know when some workers break the speed limit, go home or spend too much time at the hardware store while on the clock, thanks to GPS tracking technology. Charleston County School District added a GPS tracking service to about 150 employees’ two-way radios last summer. The GPS tracking service enables officials to track employees’ exact locations in real-time, reported the Post and Courier News. School leaders cited a number of reasons for implementing the GPS tracking system, and they said they’re not trying to pry into anyone’s personal life. The GPS tracking device doesn’t track employees when they’re not working, said Mark Cobb, the district’s executive director of facility services. One of the primary reasons the school district invested in the GPS tracking technology was because of a feature that allows employees to clock in and out on their radios. An audit by the U.S. Department of Labor more than four years ago found the district wasn’t obeying overtime laws, and Cobb said he thought it a good idea to have an accurate, electronic, time-tracking device. The GPS on employees’ radios fills that need, and alerts supervisors when employees haven’t clocked in or out when expected. The GPS tracking service also helps supervisors more quickly locate employees who work across the county’s 1,000 square miles, Cobb said. He cited as an example the time a pipe burst at Wando High. Officials used the GPS system to find out where the closest plumber was, and that person was sent to the school. “It saves time and gas,” he said. The GPS system allows the district to collect information about work orders and employees’ response time, which can be used to show the maintenance department’s effectiveness, he said. Those same productivity reports also can be used to alert supervisors who think employees are working too slowly, and those kinds of discussions have happened since the GPS tracking system’s implementation, Cobb said. The addition of the GPS tracking service may raise questions about privacy, but at least one attorney doesn’t think that’s an issue. Miller Shealy, an assistant professor of law at the Charleston School of Law, said he was unaware of a state or federal law that would prohibit the school district from using the GPS tracking service in this way. District employees are tracked only while they are working, and any privacy issue is quashed if they can’t be followed when they’re not working, he said. More government agencies and businesses are exploring the use of GPS systems, although it seemed more common for the technology to be used with vehicles rather than radios or cell phones. Mike Sponhour, director of public affairs for the state Budget and Control Board, said the state plans to solicit bids for a company to provide a GPS tracking system that could be used statewide in cars. The state doesn’t have a contract for such purchases now, which means the technology likely isn’t being used in many South Carolina agencies, he said. 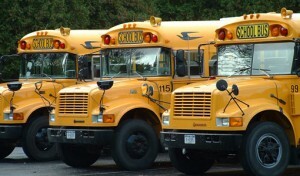 The state Department of Education is one of the agencies that plans to use the GPS tracking systems on its school buses, and state officials were hopeful those would be installed on buses by the summer. Few other school districts appear to be using the technology the way Charleston is. A query to the South Carolina School Boards Association, the national Education Writers Association and the National School Boards Association didn’t turn up anyone who was aware of GPS tracking systems being used in this manner. Richland 1 school district in Columbia, where Charleston Chief Finance Officer Mike Bobby used to work, has 17 employees who carry phones with the capability, but the only reason the GPS service is used is for employees to find directions, said Luke Fox, the district’s executive director for information technology. Charleston’s projected $28 million deficit next year could mean the elimination of the GPS service because all expenses are being evaluated, Cobb said. But he said he plans to fight for this one because it’s worth the information it provides.